Over the last few years I've been told repeatedly that "when the atmospheric conditions are just right you can see Chicago from St Joseph". I've looked and I've looked but until a few months ago I've not had much luck. I thought I saw industrial smoke rising from smokestacks a few time but no discernible downtown buildings. Since last fall I've seen bits of the Chicago skyline from St Joseph a number of times. Here is one example of the photos I have of the Chicago skyline from St Joe. You'll have to click on the image to see it larger. I suspect there are a few factors that have to come into play for a good viewing. 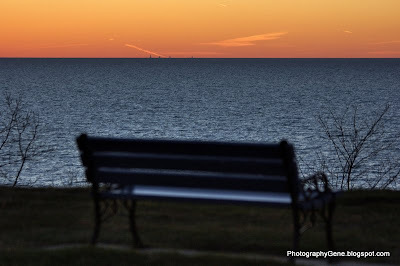 The image above was taken at sunset on December 4, 2012 from Lookout Park in St Joseph. 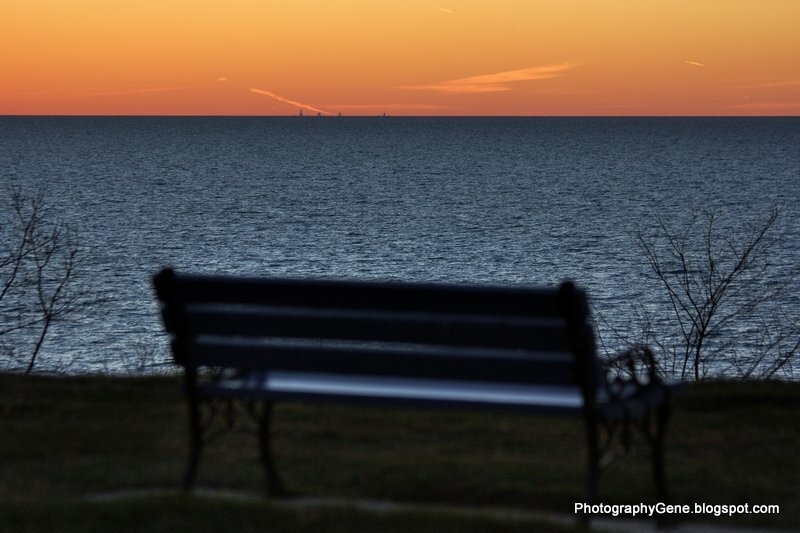 Whenever I take in a Lake Michigan sunset I look to the southwest to see if I can see Chicago. And every once in a while I get lucky.